This is the lady’s lightweight slip-on sneaker that folds in half to fit neatly into a suitcase or tote bag. 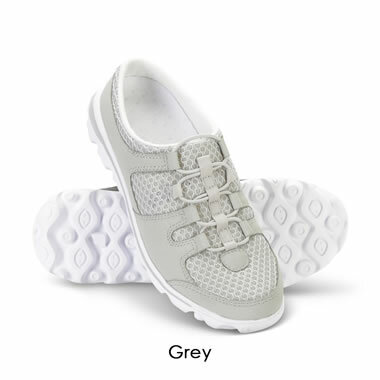 The cushioned insoles, which can be replaced with a user’s custom orthotics, support the arch and distribute weight to reduce pressure points and provide all-day comfort. Flexible mesh uppers with a mesh lining keep the foot cool and reduce constriction to prevent blisters and chafing. 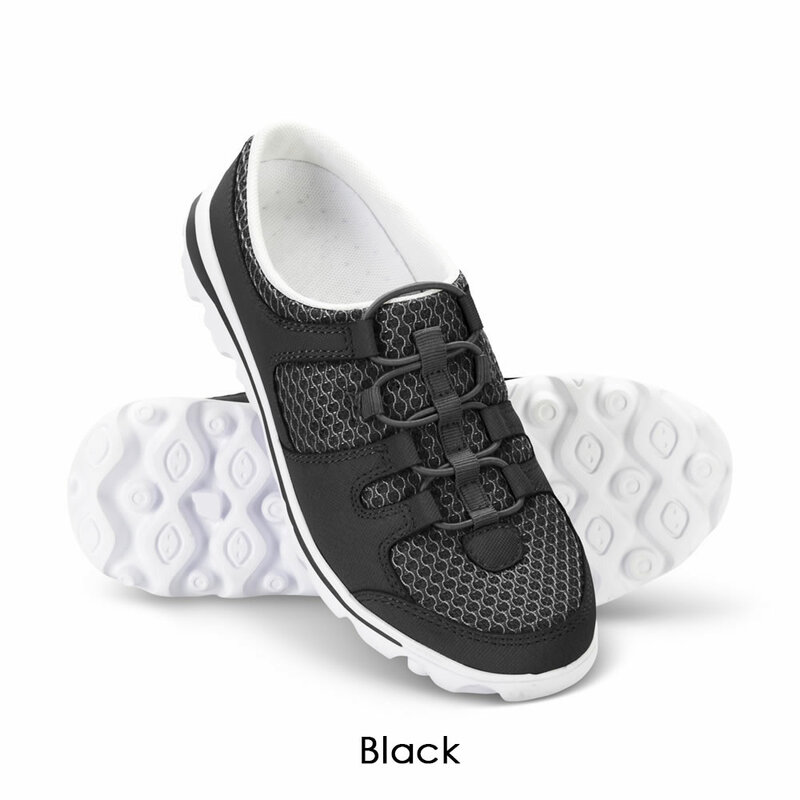 A grooved rubber sole ensures a firm grip while shopping or touring a port-of-call. Imported. Gray or Black. Women’s whole sizes 6-11. The Lady's Lightweight Travel Slip Ons come with The Hammacher Schlemmer Lifetime Guarantee. Items that we sell are guaranteed for their normal life under standard non-commercial use.